Hi all...I'm sorry I don't want to tease you all but this is really great and I really want to share with you all as fast as I can. For those who never eat satay ( its a pity). You should try after this. It consist of satay (it can be anything - chicken, meat, dear meat, lamb, rabbit and so many more), nasi impit (its like normal rice but you cook with more water than normal), sliced cucumber, red onion and peanut sauce. The secret of the satay is how well you prepare the satay whichmean how well you mixed and marinate the meat. Besides that, the other secret of good satay is how good the peanut souce. Not for everybody but at lest for me.. Sorry guys...I want to write a little bit longer but my stomach and saliva cannot wait any longer. 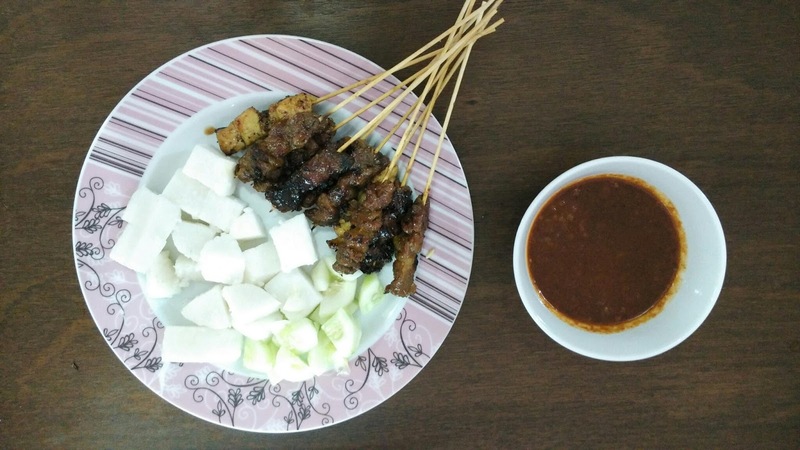 Haha...makanan org bujang je ni...tetiba lalu td so terasa nk makan satay la pulak..